The term “smart home” is entering the mainstream with everything from pet cameras to door locks, all controlled via smartphones. A variety of products dedicated to home automation were on display at CES 2017. These gadgets focused on bringing about the optimal home experience, whether it is making the home safer, or more environmentally friendly. 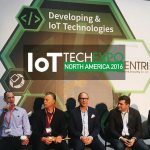 The smart home products showcased were the epitome of Internet of Things (IoT) innovation. Figure 1. Maximus Smart Security Lights, equipped with built-in video camera, alerts the user when visitors approach. Maximus Smart Security Lights allow the users to watch and protect their doors 24/7 using their Kuna app. They are built with an elegant floodlight, a 1080p HD camera with a 270-degree field of vision and 70-foot motion detector, and 2400 lumen light. 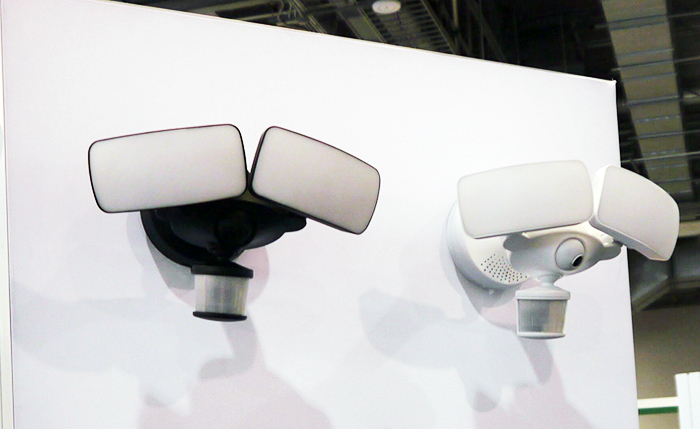 These smart security lights can start recording 10 seconds before any event is triggered and send instant mobile notifications. Users can view videos for 2-hours after they are recorded or download 3 per month. A premium subscription is required for longer storage. Users can utilize Amazon Alexa to control the security system via voice commands. The system also features a full-color night view and a 2-way intercom to communicate with visitors. Smart home technology can now bring us back to organic produce. 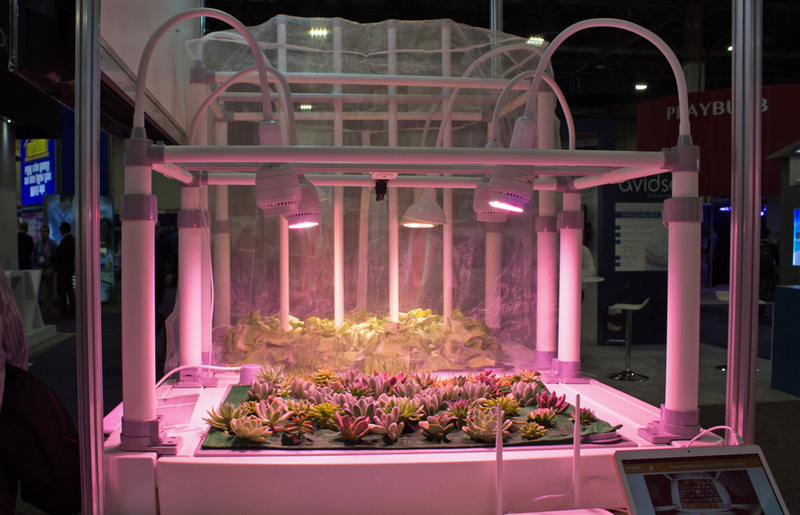 OPCOM Farm’s GrowFrame and GrowBox are indoor hydroponic gardening systems for home-grown plants and produce. These products feature high-intensity LEDs and automated control system for water and nutrient level monitors. It is easy and efficient, using 90% less water than conventional outdoor gardening products. 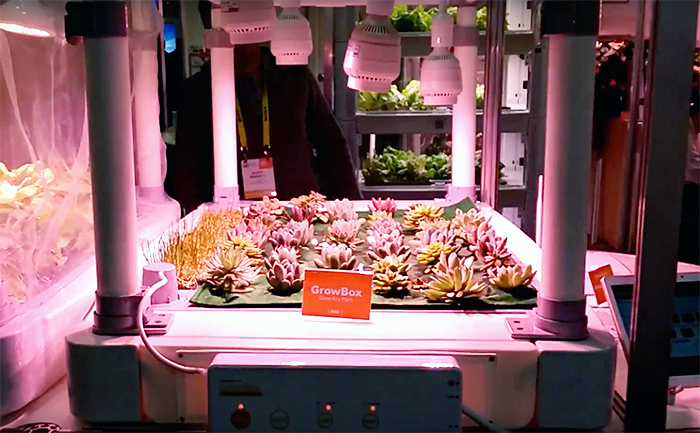 The GrowBox can accommodate multiple types and sizes of plants and claims to grow plants 25% faster compared to other gardening methods. Now we can all have a green thumb! 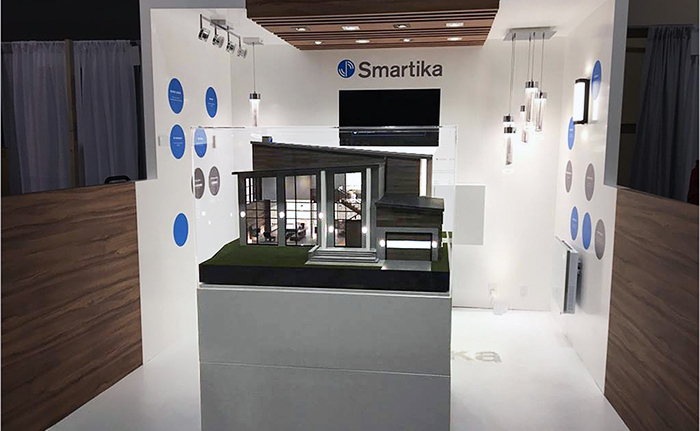 Smartika is building a product family that will become a complete smart home package. The current lineup is focused on lights that can be controlled from their smartphone app. Users can dim or change the lighting effect, schedule an automation, change the mood of lighting for different scenes, and set an activation/deactivation perimeter. The system also features a water leak sensor that notifies the user when a leak is detected. 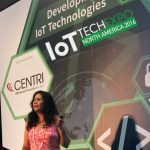 The company plans on releasing a wider range of smart home products, adding to their current package, over the next three years. The Vine Model-610 thermostat can save you the time and energy of looking up weather reports or adjusting temperature, as it provides an up-to-date weather report and hourly (or even 50-day) forecasts. You can easily set up a daily program to remotely optimize your home’s temperature using their iOS or Android App. You can also partake in real savings, both monetarily and environmentally. Vine claims that the average household will save 23% off their energy bill annually if they install this Wi-Fi thermostat. 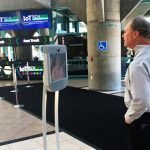 The device also features a touch screen, interactive alerts/messages, and cloud backups. Chameleon is an independent smart home service provider. 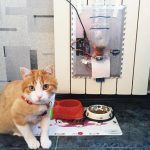 Chameleon acts as the central nervous system of the user’s home, integrating with the most popular smart home standards. 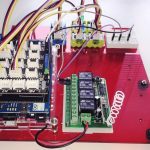 It functions as a gateway to every smart home’s sensors, providing one common interface control. While the service is being pitched mostly to real estate developers, it is also available for homeowners at a reasonable price. Users can choose packaged deals that vary in price and functionality or customize to their own preference. The basic package includes: remote access, heating and cooling, smart lights, night mode, alarm system, and remote monitoring. Figure 4. Atmotube is a portable air pollution monitor that detects a wide range of volatile organic compounds (VOCs) and harmful gases (e.g. Carbon Monoxide). Atmotube is a portable air pollution monitor that detects a wide range of volatile organic compounds (VOCs) and harmful gasses like Carbon Monoxide (CO). 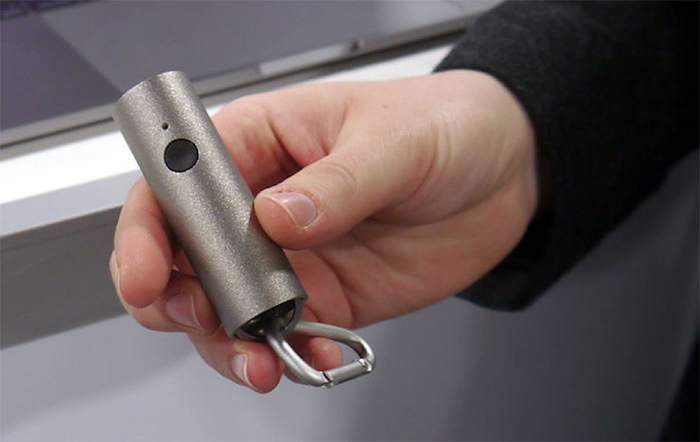 The device weighs only 1.4 ounces (40 grams) and is coated with titanium, giving a sleek and chic design. It features a multi-gas sensor with ultra-low power consumption, high sensitivity and fast heating times, and allows us to be aware of the air that we breathe in daily, inside or outside. In fact, the air quality within our homes can be up to eight times worse than outdoors due to a variety factors. Now, we can make conscious and healthy decisions. Atmotube takes measurements every 10 seconds and sends them to an app that displays the air quality on both a personal and a worldwide map. Insta360 Nano is a portable camera that plugs into an iPhone 6/6 Plus (or higher models) and shoots 360-degree photos and videos. The camera measures 110 x 33 x 21 mm in dimensions and weighs around 70g (2.5 oz.). There are multiple shooting modes, such as wide angle mode and little planet mode which allows shooting the spherical panorama. 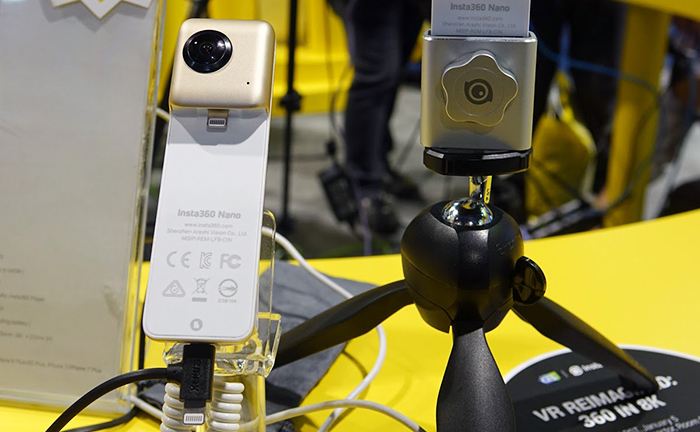 Nano is currently the only camera that is officially compatible with Twitter and Periscope’s new 360 livestreaming. Blink has won yet another award in “Smart Home” category for two consecutive years. Blink 2.0 is an ultra-affordable home security camera that comes with a battery life of up to two years on a set of 2 AA lithium batteries. In addition to a security camera with incredibly long battery life and being completely wireless, Blink released an outdoor model, Blink XT, which adds waterproof functionality. The new model has a water-resistant unit that features temperature sensors and has a infrared night vision. 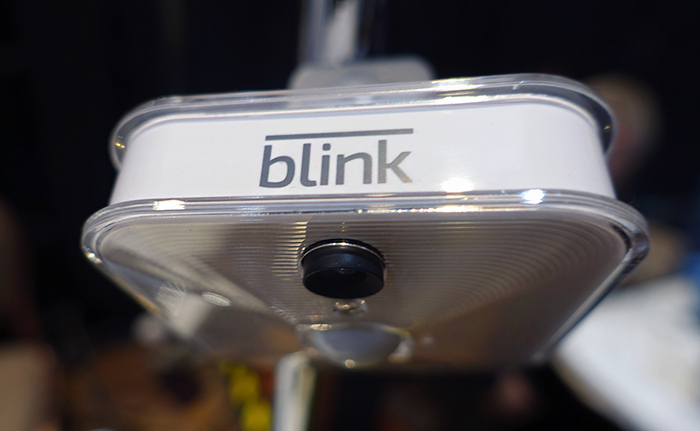 Both Blink 2.0 and Blink XT features motion detection, live streaming, and instant alerts. ATOM AR3 by Amaryllo is no ordinary security cam. AR3 can 360-degree auto-track human faces using a 2M-pixel camera (1920×1080/30fps) to identify up to 100 people at the same time. When suspicious activities are detected and the sensors are triggered, it sends instant alerts to user’s devices. 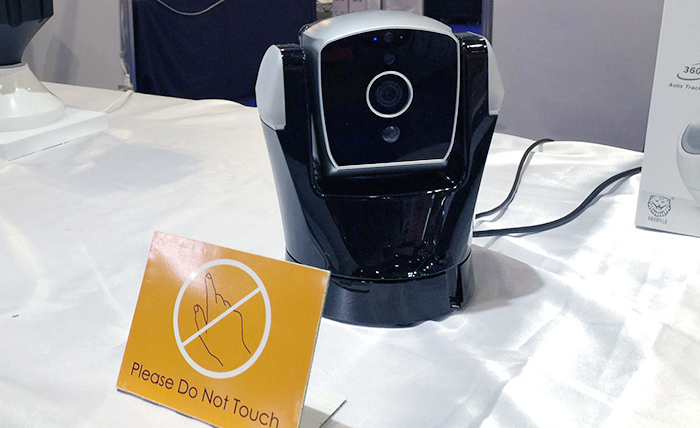 On top of the face recognition, the camera robot is also able to talk. It measures 5.1 x 6.3 x 4.3 in and weighs 2.31 lb (1.05 kg). It comes equipped with 4 infrared LEDs and ICR module, as well as Amaryllo’s military-grade 256-bit encryption for maximum privacy protection and features real-time 2-way intercom, 10-seconds video alerts (premium plan). Users can also zoom the camera from their smartphones. Figure 8. The K-Track G is the first wearable that allows diabetics to measure their blood glucose levels without blood extraction. PKVitality K’Track G (G for Glucose) is the first wearable tracker that measures blood glucose level in real-time without cumbersome blood extraction. The device is equipped with the K’apsul, a revolutionary biosensor which measures glucose via contact with skin. K’aspul can take unlimited measures within 30 days and display glucose levels on the K’Track screen as well as its linked app. 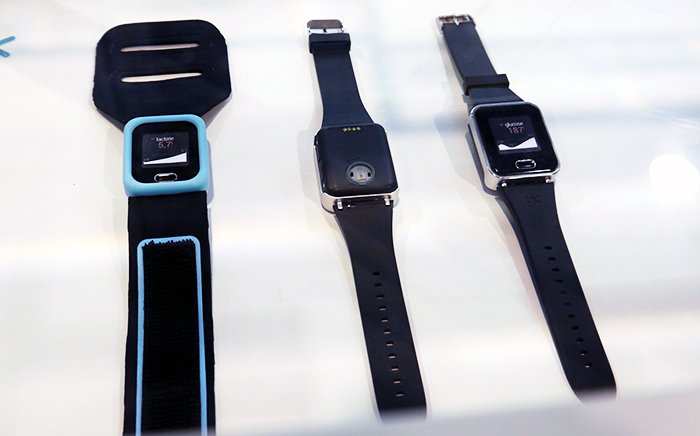 K’Track is the size of a smartwatch and can also track steps, distance and calories burned. This data can all be monitored via the app. Replacement sensors are expected to cost $100 per month, and the device is still pending approval from regulators. Figure 9. PowerUp FPV is a paper drone equipped with a live streaming camera. PowerUp FPV is a paper drone that comes with a live streaming camera. Its super lightweight airframe and live streaming VR functionality sets it apart from other traditional drones. With PowerUp FPV, users can experience flight live as if they were sitting in the cockpit. The super wide angle camera can shoot videos and photos at 30fps. They provide three options to control the drone. Users can wear a smartphone VR headset with a head-mounted display (e.g. Google Cardboard) and control the plane with light head movements. The drone can also be manually controlled using a gamepad (e.g. smartphone) or via featured Full Autopilot mode. It travels at maximum speeds of 20 mph with maximum flight time up to 10 minutes of continuous flight. 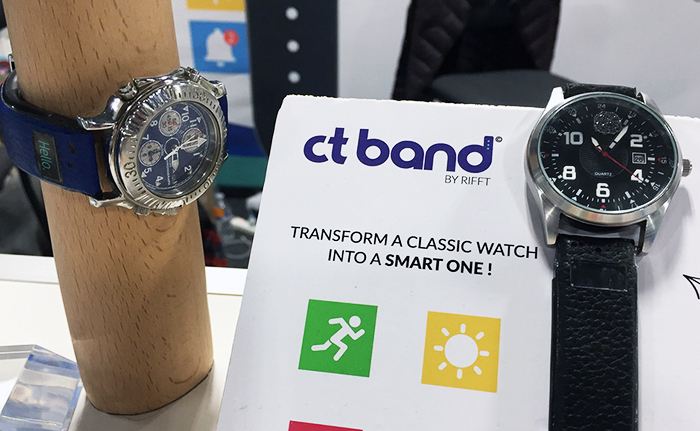 Onboard WiFi module enables live streaming with a range of over 300 ft.
CT Band turns any ordinary wristwatch into a smartwatch. The band is an ultra-thin watch strap that can be attached to any watch face for added functionalities, such as tracking sports activities (e.g. number of steps, speed, distance covered, etc) and monitoring heart rate and blood oxygen rate. In addition, CT Band provides environment tracking features like UV rate, rate of sunshine, and temperature & moisture rate. The band features a small LED display and syncs with user’s smartphone via Bluetooth. EyeQue Personal Vision Tracker allows users to take refraction measurements so they can order corrective eyewear and track how their vision is changing over time. 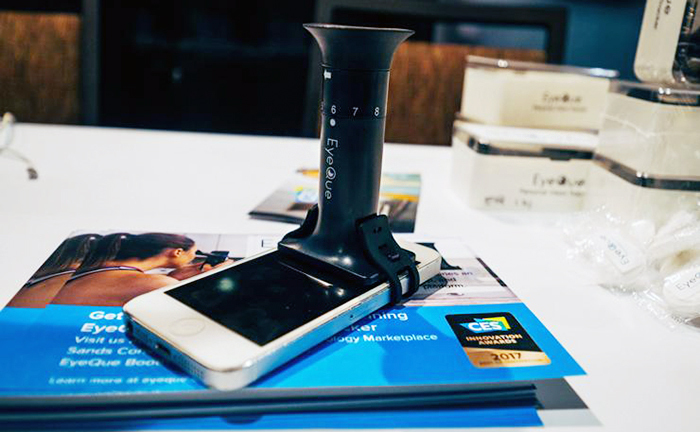 Measuring 3.62 x 1.38 x 2 in in dimensions, EyeQue is a “miniscope” that attaches to iPhone (5 and up) or Android (4.x and up) and is used in conjunction with myEyeQue mobile app to self-administer refraction measurement tests. The tests can determine the degree of nearsightedness, farsightedness or astigmatism which are saved in the personal cloud, accessible from the EyeQue dashboard. With a simple and easy access to measurement history, users can become proactive about their eye health and maintain good eyesight. The Personal Vision Tracker does not provide a prescription, and consumers should still get regular eye exams from certified optometrists. Home automation is a growing trend that has evolved from single-button security systems to remote whole-home monitoring systems. The ever-changing, cutting-edge technology has created a safer, better connected, and more eco-friendly environment for users, and it seems clear that this sector will only continue to improve. 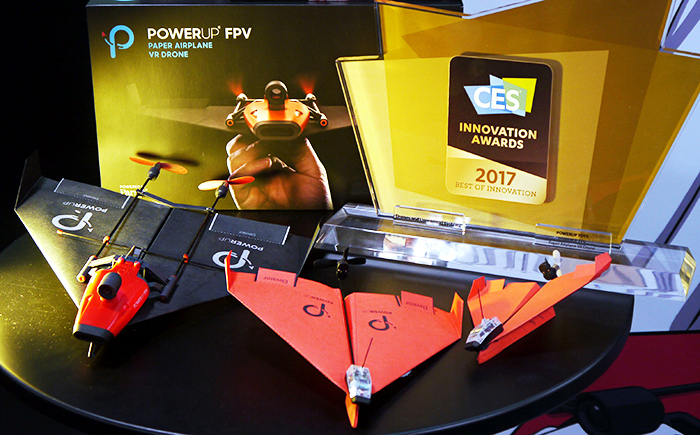 It was also truly inspiring to explore the products honored with CES 2017 Innovation Awards. These products competed with hundreds of other brands and proudly stood out as the most innovative within their categories.